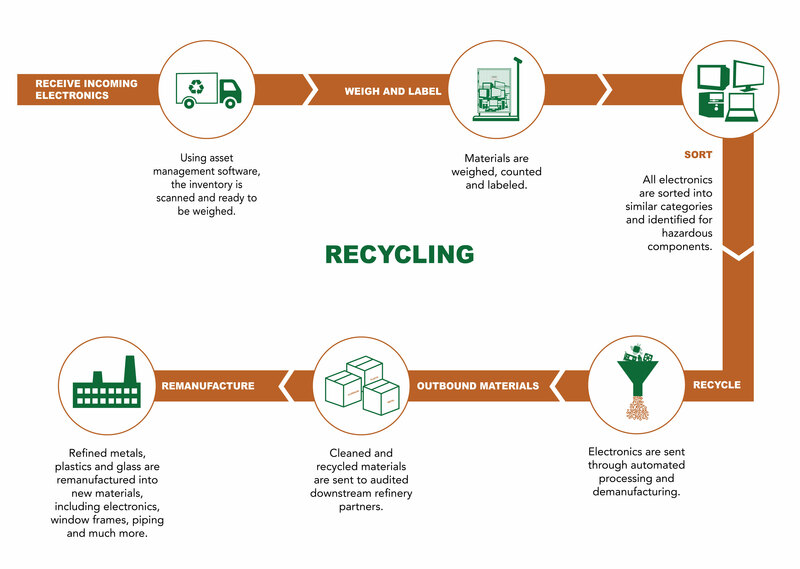 Our recycling solution is cost effective and environmentally sustainable. Our innovative technology utilizes centrifugal force to break the end-of-life electronics at their weakest point. Through downstream automated processing the raw materials are separated, sorted and refinery ready. Our green processing technology consumes less energy than a knife shredder of the same capacity. For our customer’s convenience, we offer collection options including CEAR’s own e-cage.